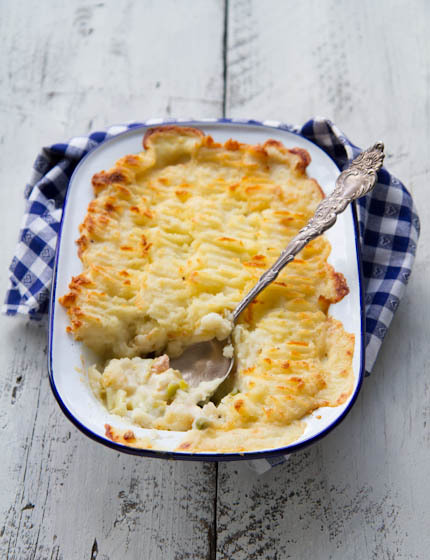 For most of my English friends, this dish brings up memories of school dinners, where fish pie was one of the staples. 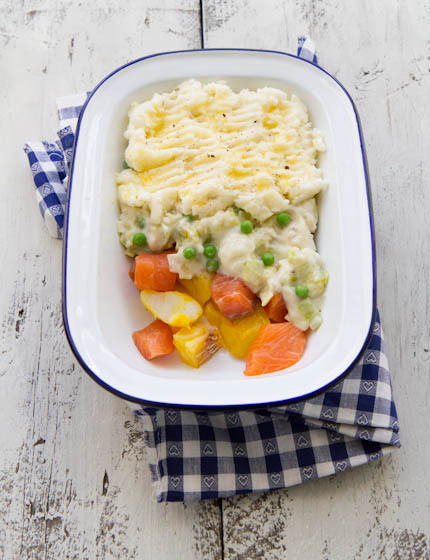 I’ve revamped this true British classic with a dash of white wine and fragrant tarragon. 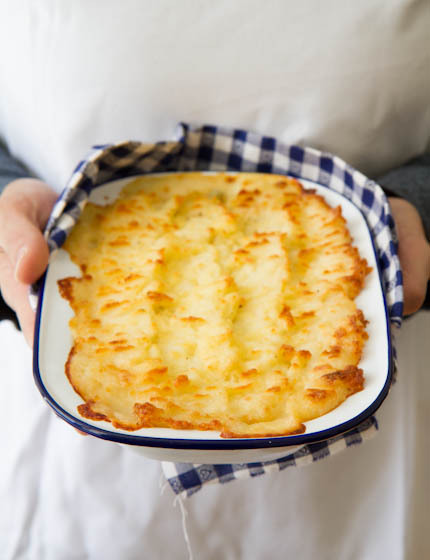 Really simple to make, this baked dish is ideal for a mid-week supper. 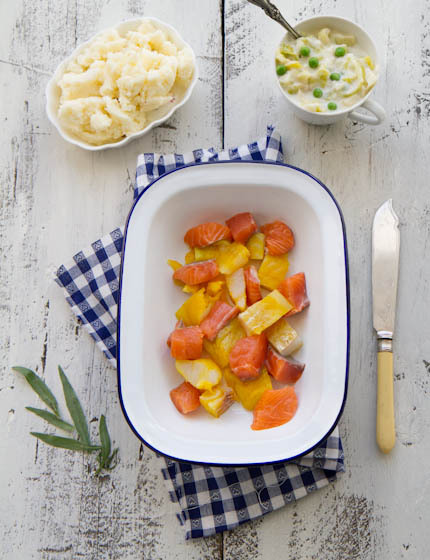 Don’t worry if you can’t find any smoked fish, you can use any kind of fish you like, and even throw in some prawns if you feel like it. I made this recipe in the pies episode of my show, you can watch it here. Recipe available exclusively in my first book Anne’s Kitchen. Buy the UK version here and the German version here.